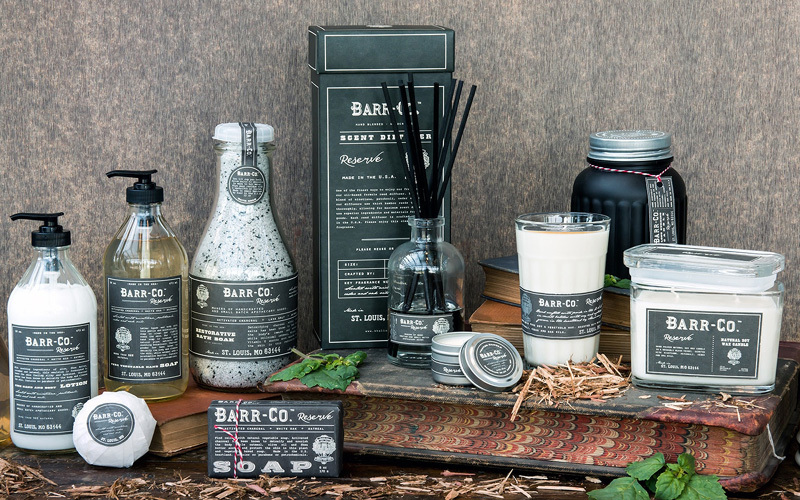 Barr-Co brings high quality and uniquely handcrafted home fragrance and personal care goods to the marketplace. Our Midwest based company has expanded over recent years to include exclusive & unusual products. Throughout its growth, Barr-Co has continuously maintained its core focus on producing the highest quality products with unique and appealing fragrances and timeless packaging. All of our candle products are made with a 100% natural soy and vegetable blended wax grown by American farmers and our body products are made from only the purest ingredients. Our dedication to use only the finest ingredients is the hallmark of our company. All Barr-Co products are handcrafted in the USA. The new Reserve range for men (but women will love it just as much) is now available at Nest & Burrow (Moss Vale store only).